Alcohol is a major part of the culture of the United States as well as a substantial piece of the overall commercial landscape. Alcohol of some type is distilled, brewed, or fermented in every state of the union and thousands if not millions of businesses including retail stores, restaurants, bars, and other venues all count on alcohol sales for their overall livelihood or a large portion of their revenue. This will likely never change and in most people’s minds in this day and age there is no reason, outside of the already in place laws and regulations, to curtail in any way the sale or consumption of alcohol. This is in part based on the fact that the vast majority of people who walk into a liquor store and buy a six pack of beer, a bottle of wine, or any other alcohol do not have a drinking problem and will enjoy what they’ve purchased casually and socially without any negative impact on their life. However, for those people that do develop a problem with alcohol, there is help to be had. A search for alcohol treatment centers Fort Myers will return local resources for Fort Myers alcohol addiction treatment facilities, including Fort Myers White Sands. The addiction counselors at White Sands are always available at (877) 855-3470 to answer any questions you may have about addiction treatment in Fort Myers, Fort Myers alcohol detox, or any other details you may wish to know about what’s available right in the local area. When you are searching for Fort Myers alcohol addiction treatment, it is important to remember that every person who is addicted to drugs or alcohol and is ready to start their recovery must begin with detoxification. Fort Myers alcohol detox is available as part of the comprehensive programs offered at White Sands. Detox is the process wherein the drugs or alcohol is removed from a person’s body in order to give them a baseline of being clean before they start any other phase of the recovery. 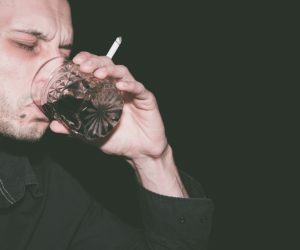 There are many techniques used when it comes to detoxification and White Sands Fort Myers alcohol detox works individually with each patient to ensure they are getting the care that’s right for them. This includes simple things like making sure they are eating right, getting nutritional meals, and getting plenty of rest, all of which will contribute to the success of this early stage of their recovery. White Sands Fort Myers alcohol detox also acts as the very beginning of an alcoholic’s relapse prevention, separating them from all of the places they typically would drink and thus not allowing them to have even a small slip while they are trying to start on their road to sobriety. Why Should You Enter Addiction Treatment? If you live in the area and are struggling with alcohol abuse or know you are addicted to alcohol, entering a Fort Myers alcohol addiction treatment center can be the turning point in your life. If you have been abusing alcohol regularly or have been addicted for some time it’s safe to say that alcohol has had a negative impact on your life. You may have lost a job or not gotten promoted, had a relationship end or gotten divorced, or had one of many financial areas of your life affected. This can all be put in the past by talking to someone at White Sands Fort Myers alcohol addiction treatment center today. White Sands is one of the topnotch alcohol treatment centers Fort Myers has to offer, and the addiction counselors can answer any questions you may have about alcohol abuse, addiction, treatment, recovery, and aftercare programs in the area.